On the eve of D-Day, American paratroopers are dropped behind enemy lines to carry out a mission crucial to the invasion’s success. 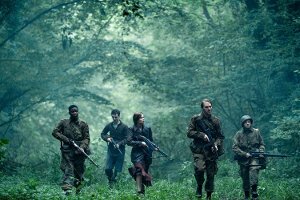 But as they approach their target, they begin to realize there is more going on in this Nazi-occupied village than a simple military operation. 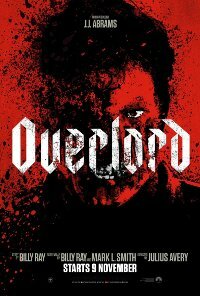 They find themselves fighting against supernatural forces, part of a Nazi experiment. This film is releasing in 2D and IMAX. This is the 2D version. Action, Detective/Mystery, Horror, Sci-Fi, Thriller, War. Are you sure Private Ryan is around here? Prejudice Low impact isolated prejudicial language. Comments The content contains moderate to strong impact, complex and mature themes of survival, war, brutal killings, human experimentation, torture, teamwork, bravery, Nazi's, scientific modifications, sacrifice, doing what is right and good triumphing over evil, presented within an action, mystery, drama context that is laced with a strong and sustained sense of threat and menace. The content may not be appropriate for viewers below the age of 18 as it may be disturbing, distressing, upsetting or harmful as it may prematurely expose them to mature and violent content. Viewers aged 18 and older may find conten to be of entertainment value.